Over 600 barrel/trim color combinations! 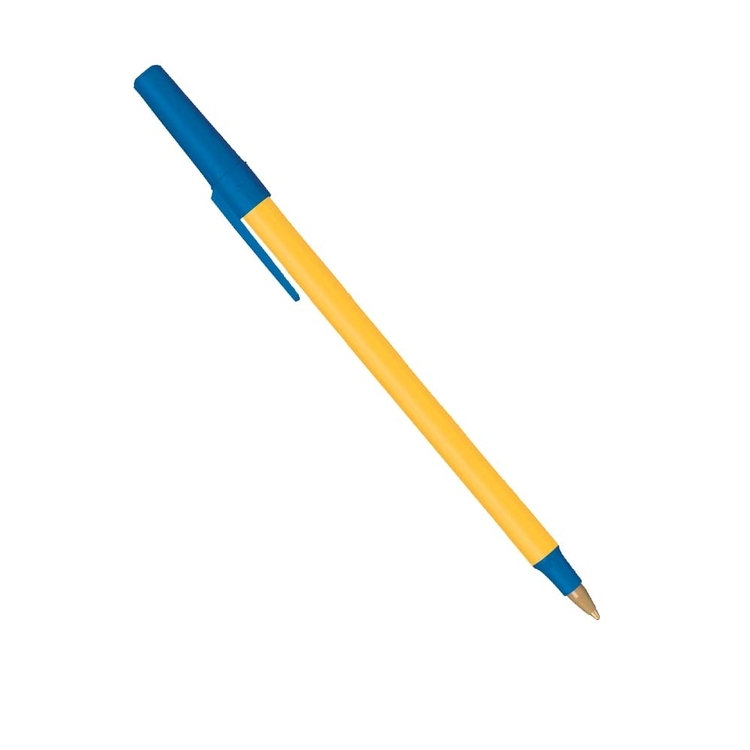 A classic pen recognized around the world - with over 600 barrel/trim color combinations and a ventilated cap design. Additional Product Information: Choose 1 barrel and 1 trim color. Please note that barrel and trim colors may not be an exact color match. 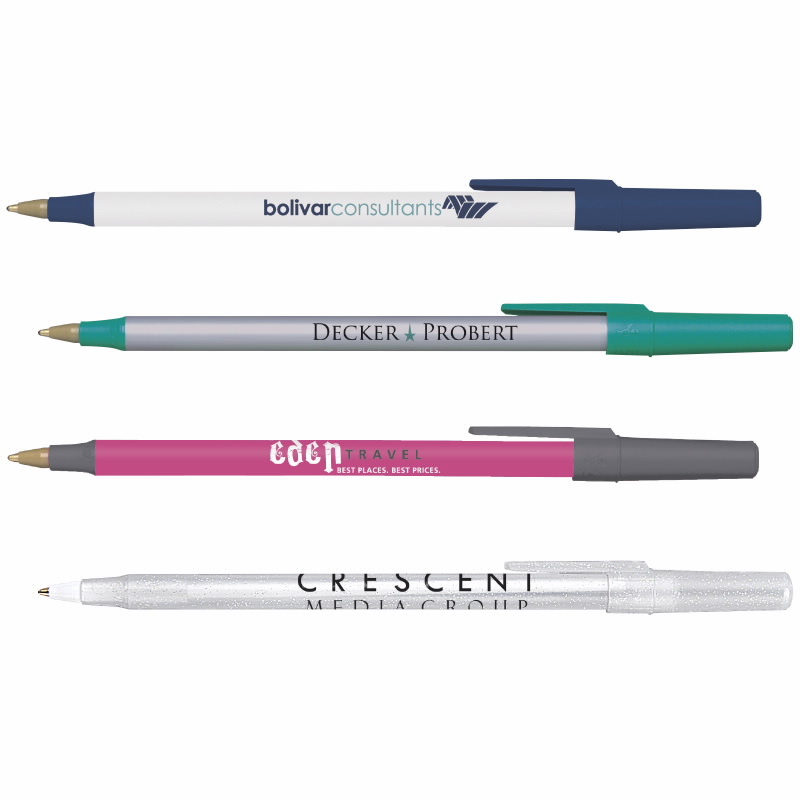 Flow lines may be visible in metallic colors.Clear Sparkle is available in medium-point standard black ink only. Price Includes: Screen Printing (SP): Price includes a 1-color barrel imprint.2 colors available. 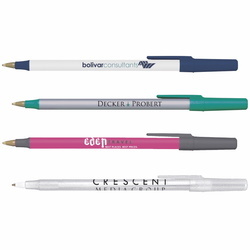 Add $.12(C) per pen for second imprint color.